Underground drainage requirements can all be covered by Building Materials Direct and with the sales team having each spent over 20 years each in the Building Supplies industry they are able to give sound helpful advice on what products you may need. 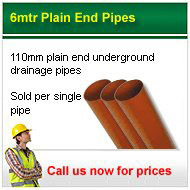 Building Materials Direct are suppliers of quality underground drainage that meet the required 'BS EN 1401-1:1998' specifications so you know that when you purchase our drainage you are getting underground drainage that is not only very affordable but quality underground drainage products that have passed the tests to enable you to use them with no questions asked. 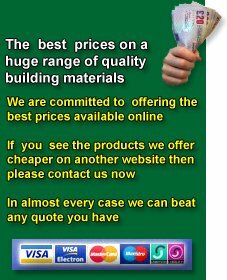 We can also arrange direct delivery to your home or building site. 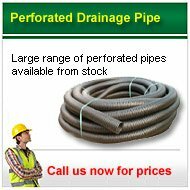 For the best prices on a whole range of underground drainage products just give us a call. 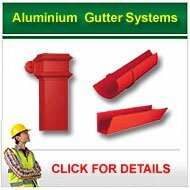 Building Materials Direct recognise the ever increasing need to make efforts into saving the planets resources and one way to contribute to this is to recycle rainwater through the installation of a rainwater harvesting system. This reason coupled along With water companies especially in the south of england unable to keep up with supply and demand of water along with the problems experienced especially over the last few years with localised flooding it makes sense to try and recycle the one item we don't have to pay for, rain!! With some estimated 50% of water currently used in the average household being able to be replaced with recycled rainwater or 'greywater' as it is also known and the installation of water meters by the water companies it not only makes environmental sense but also financial sense, so why not call our sales office and we will get an expert on the matter to help you. 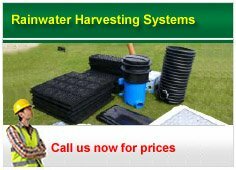 Building Materials Direct are also suppliers of septic tanks cesspools and sewage treatment systems in various sizes for use in both domestic and industrial applications so call us now for all your underground drainage requirements.